Hapag-Lloyd has reported preliminary annual results which state that it achieved EBIT of €411m in 2017, up from €126m in 2016. The results include seven months of UASC business, following its merger. Results excluding the impact of UASC business were not disclosed. Revenues increased by 29.0% to €10.0bn, on the back of an equal rise in volume growth. Revenue growth was also supported by a slightly improved average freight rate in 2017 of $1,051 per TEU, up by 1.4%, although this is below the industry average. 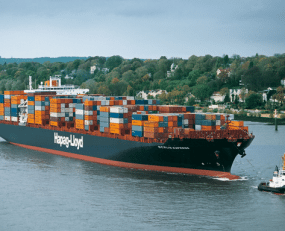 It appears Hapag-Lloyd held rates relatively steady to cling on to UASC volumes through the merger process. The final full year 2017 group financial statements and the annual report 2017 will be published on March 28, 2018.